I've been having real bad luck lately with products and services. It seems everywhere I turn its as if I'm being given the "priviledge" of spending my money instead of the stores being greatful to have me as a customer. 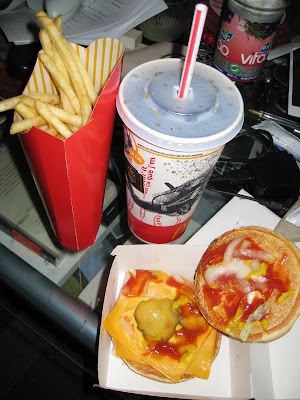 I've seen a drop in service everywhere ranging from getting a burger in a drivethru that was missing the most important part, the meat patty, to waiting 3 months for an order to ship. I starting thinking that maybe the economic crisis might actually be a good thing, the companies that don't wise up will simply be replaced by the ones that do because the others will be filing for bankruptcy. It was with this gloomy picture in my head that I decided to purchase one of the new Eye-Fi SD cards for my camera. If you haven't heard of them I suggest you check out their site at www.eye.fi They have an ingenious little product that will automatically upload the photos from your camera to your computer (and photo sharing sites like Flickr etc) and geotag them so you know where you were when you took them. Upon purchasing a card I was immediately greeted with a defective card reader that came with the card. Not a huge deal since I have multiple readers. I notified customer service and requested a replacement. I was later told that a replacement was issued and would be shipped to the address I provided. Ok. Great. I then took advantage of thier "suggest a feature" in the Eye-Fi forums. I suggested that they offer a free trial for their Geotagging service. As I had only bought the EyeFi "Share" model my card did not have this feature though a 1yr subcription was available for a small fee. Since the geotagging feature works best in densly populated urban areas I did not want to take the plunge and go for a full year only to find out it didn't work. A few days later I had a reply stating they liked the idea and would let me know when this was available. A few weeks later and I was given instructions on how to access my free trial. I still had to provide a credit card number so that if I liked the service it would automatically subcribe me for 1yr if I did not cancel before the end of the 30 days. Fine, sounds reasonable, I'll do it. I try out the service over the Christmas holidays and I find it neat but given the small size of my city there was not enough wifi coverage to always get an accurate geotag. I decided in the end to hold off a little while, cancel my trial, then maybe renew it if I new I'd be going on a trip. This is where I got frustrated. I could not find a way to cancel the trial so I had to email support, ok no big deal. I received a repsonse saying my autorenewal had been cancelled and that I would not be billed for the 1yr subscription. A few days later I receive and automated email stating that my autorenewal had just been completed and I was now subscribed for 1yr. Ok, maybe they forgot to cancel the automailer no big deal. Fast forward a few days again and I see it on my bank statement. I now was billed for a service I cancelled and to top it off I couldn't even use the feature because it had been disabled in my Eyefi account. This is when I lost it. I wrote a lengthy email explaining just what happened to me from the beginning of my whole experience. I was not vulgar, I did not swear, but I was maybe a little scathing albeit in an articulate fashion. Then I waited. Later that same day I saw an email pop up in my inbox from Eyefi, to be honest I wasn't expecting much. I was wrong, not only did they address all of my problems and refund my autorenewal, they went on to apologize for my experience and to make up for it sent me an EyeFi Explore card (the step up from mine) that has unlimited geotagging. I was floored, I wasn't expecting this at all. Most times its hard enough to get what is owed to you, very seldomly do you also get compensated for your troubles. Now I don't want people expecting to get free stuff from EyeFi or any other company by writing letters complaining about stuff. I know there are people out there who would try to take advantage of something like this and perhaps even lie to do so. Please do not do this. I would however say that you should give feedback, both negative and positive, when it is due. Stand up for your rights as a consumer, it is ok to complain if it is warranted. On the flip side, if a company has a good product or you've had a great experience dealing with them by all means spread the word and help them out!! Its by doing this that you'll help the companies that are worth keeping stay around while the out of touch companies file for chapter 11 bankruptcy. 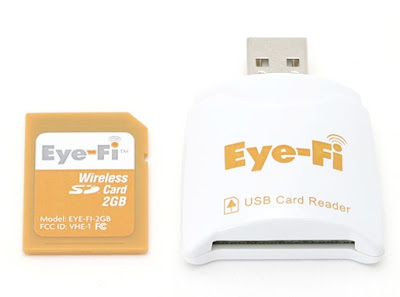 I plan on posting a full review of the EyeFi card in the next few days. I won't pull any punches just because of the great service I got, there are a few things I'd change with the product but all in all I would still highly recommend it. Stay tuned to find out why.